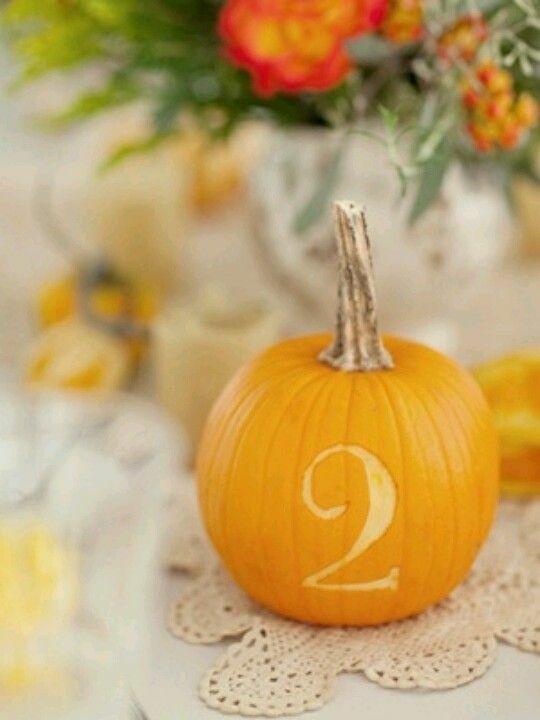 Posted on October 30, 2014, updated October 31, 2014. 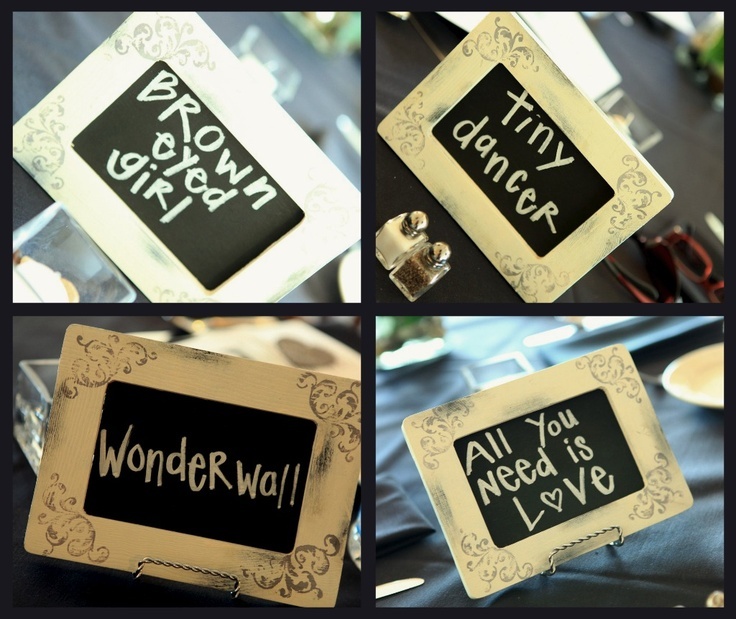 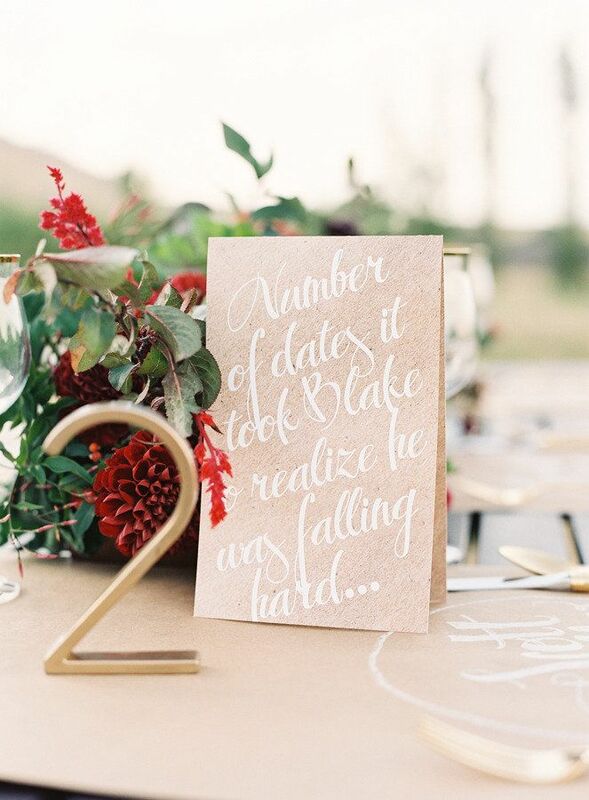 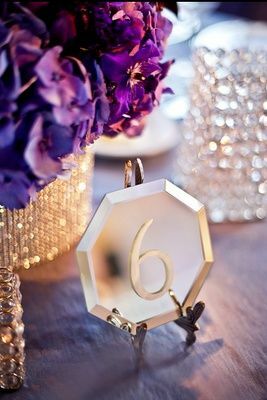 Table numbers are another great way to get creative with your wedding theme. 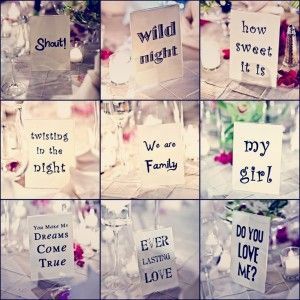 There are many different ways to use them to make your big day unique. 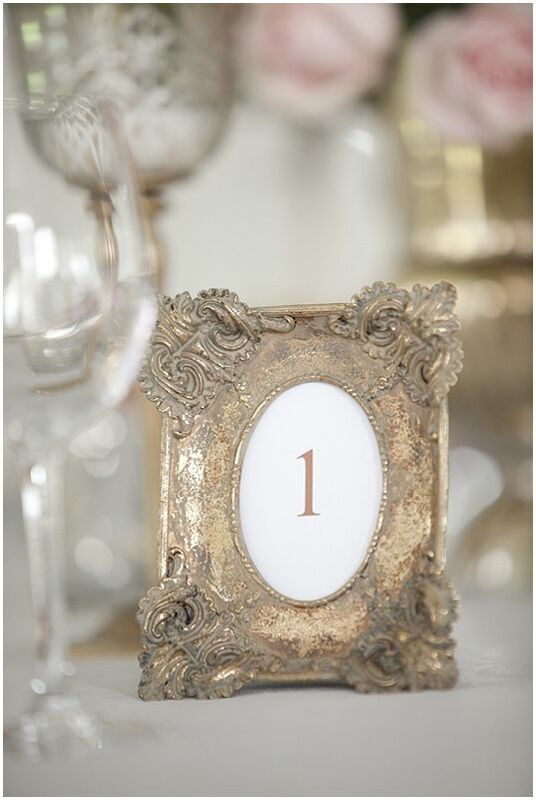 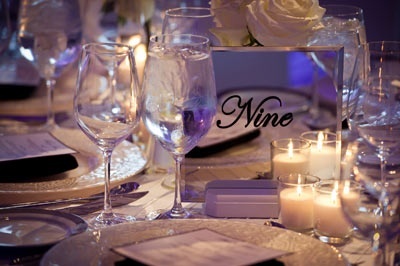 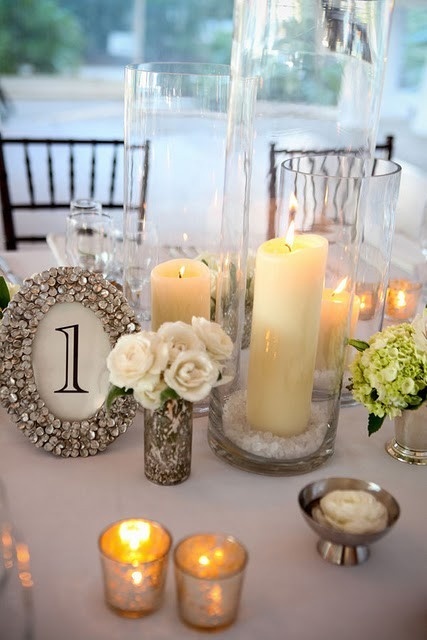 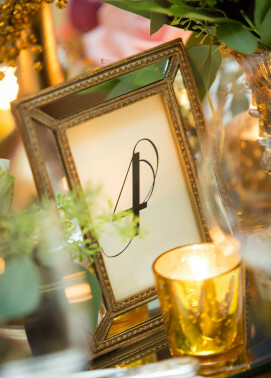 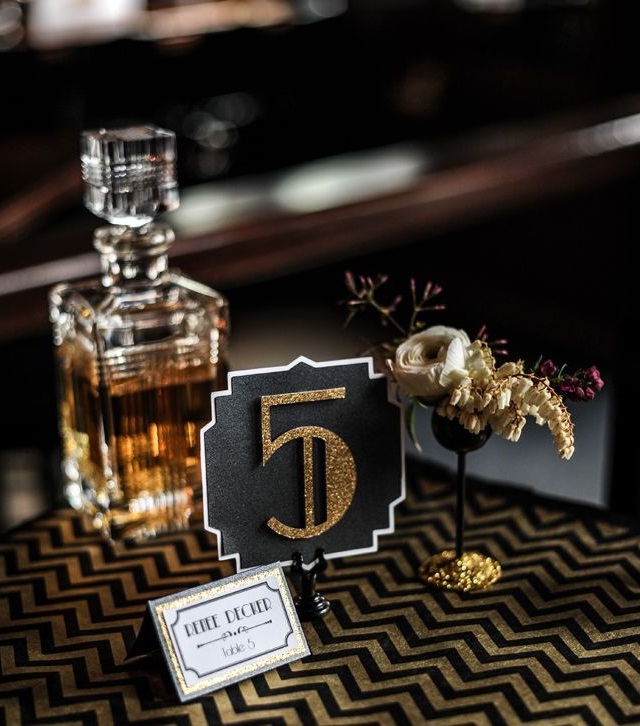 The traditional route to go is to have simple table numbers – which you can decorate elegantly to match your theme. 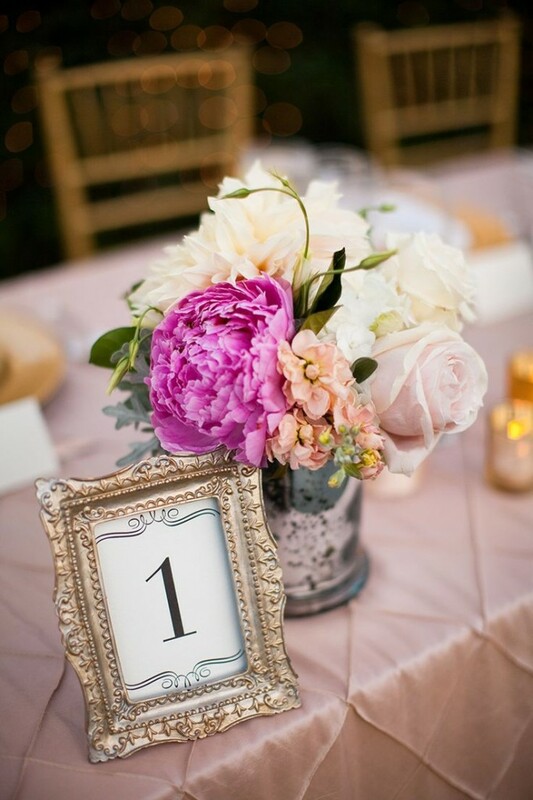 Picture frames are a great option to decorate your numbers! 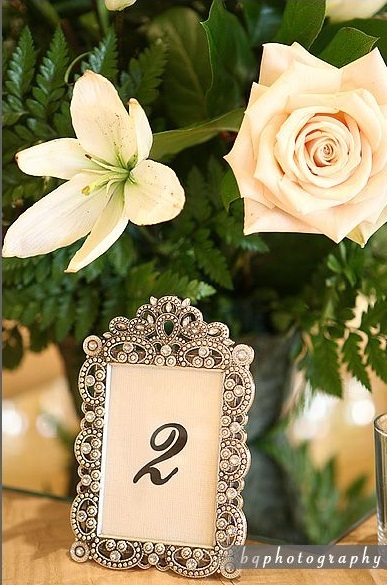 We love the idea of a jeweled picture frame to add elegance to your table’s centerpiece. 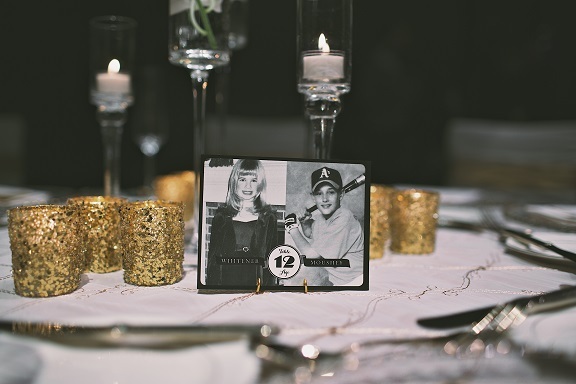 Vintage-inspired picture frames are also a beautiful way to add to your tables. 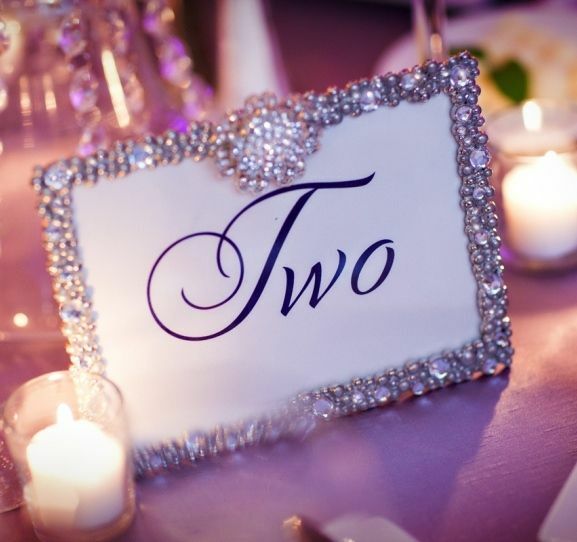 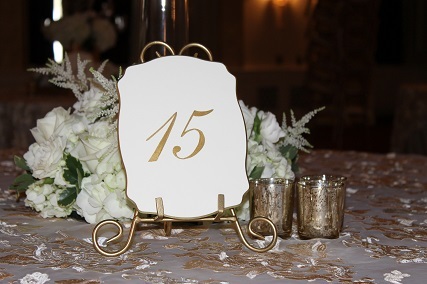 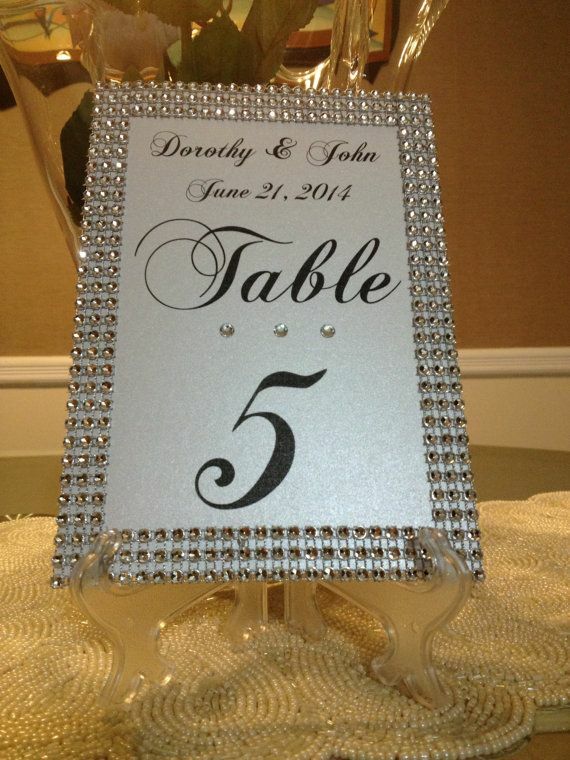 Table numbers can be applied a variety of surfaces as well – they just don’t have to be in a frame! 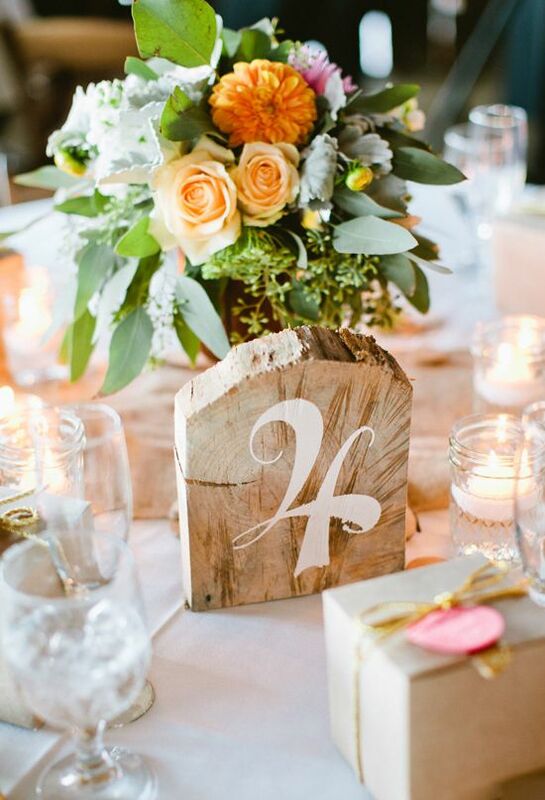 We love the idea of using wood for an outdoorsy, rustic-chic wedding. 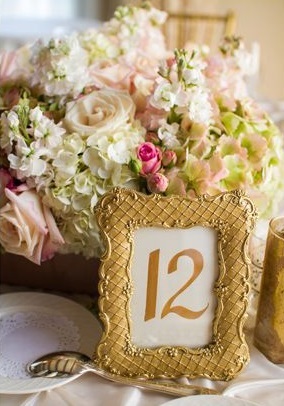 Free-standing numbers can also be incorporated into the floral arrangements and centerpieces. 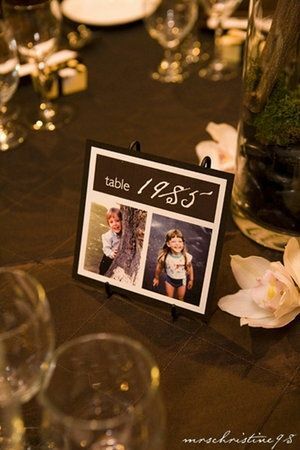 Mini-easels are a great way to hold numbers, and they offer a lot of creative freedom! 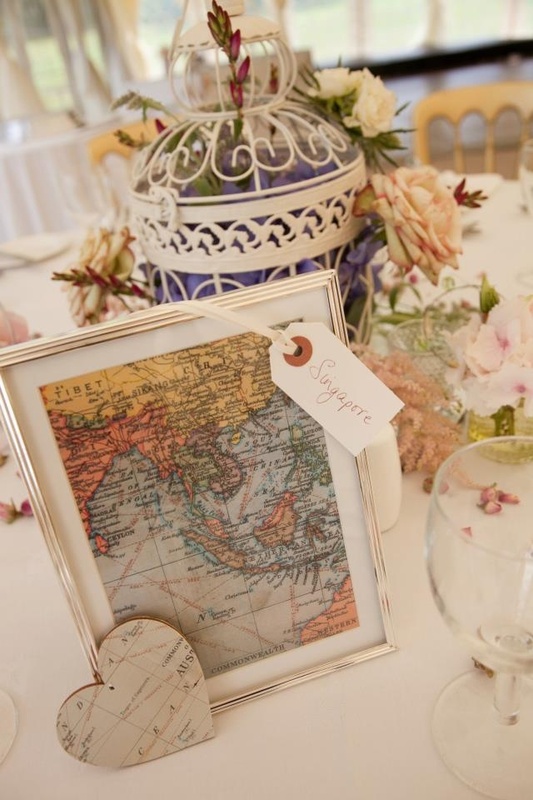 If you do not want to do the traditional number, a great way to incorporate your life into the big day is using maps, photos or postcards from places you have traveled (or want to travel) with your sweetheart. 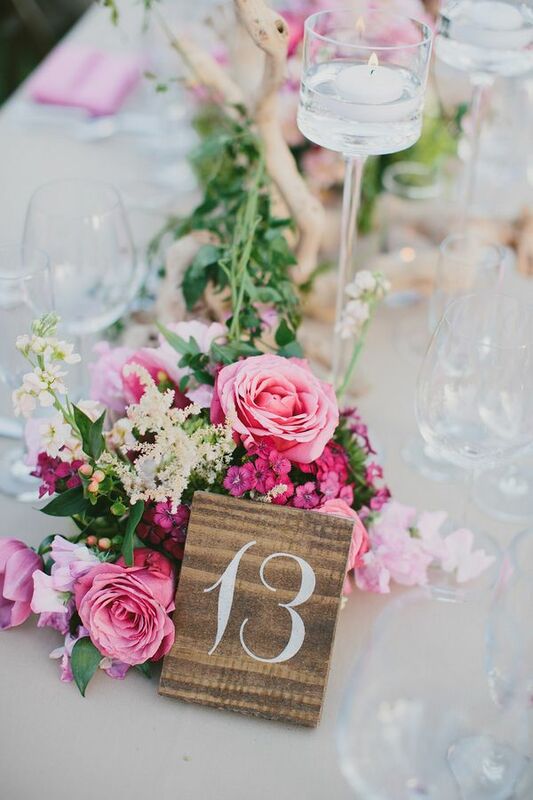 Have each table based on a different city, state, country or continent, but make sure to incorporate a table number into it for ease of finding the table for your guests. 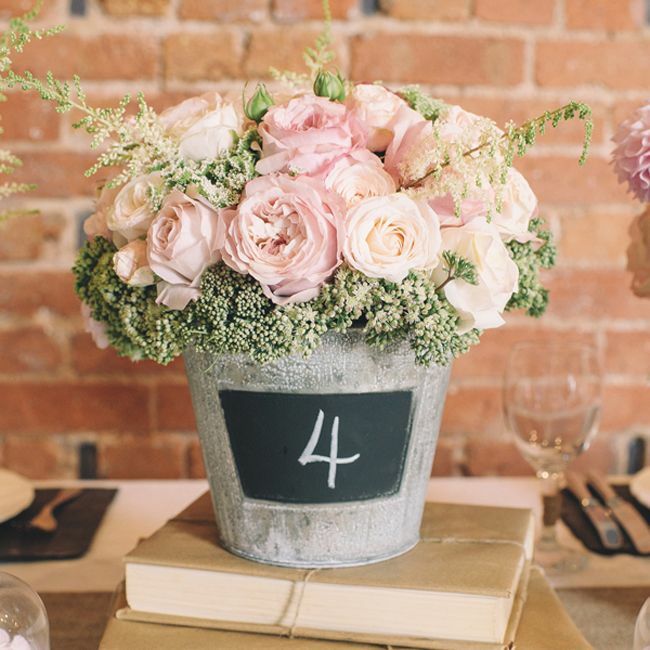 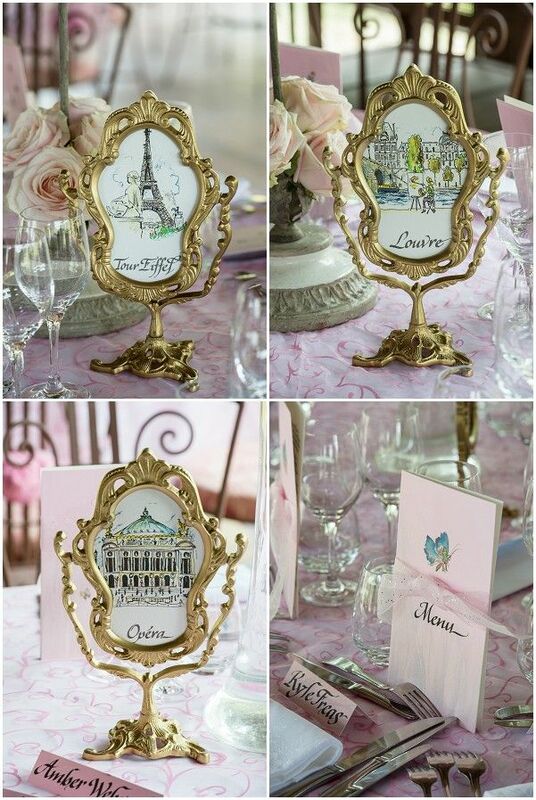 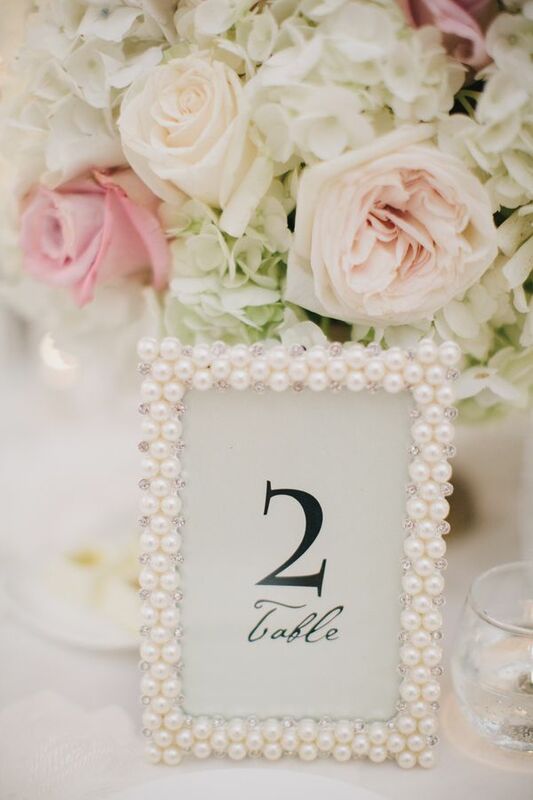 We love these French-inspired table names! 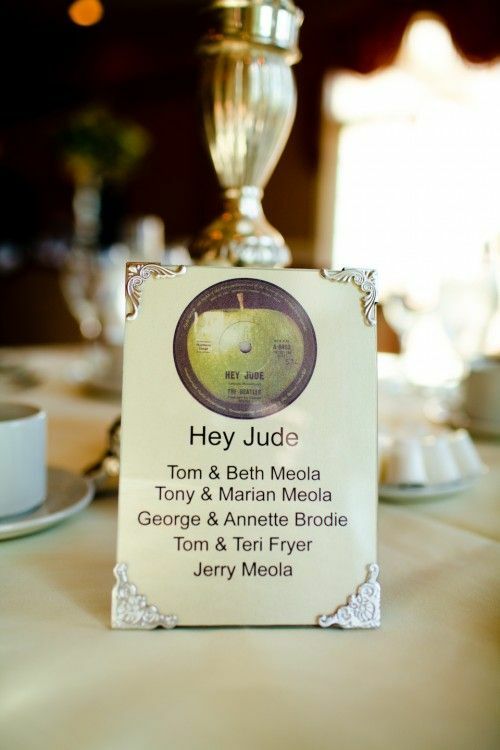 Another trend is to have each table named after a song! 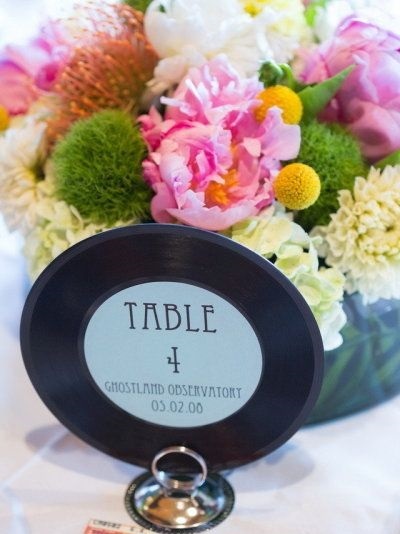 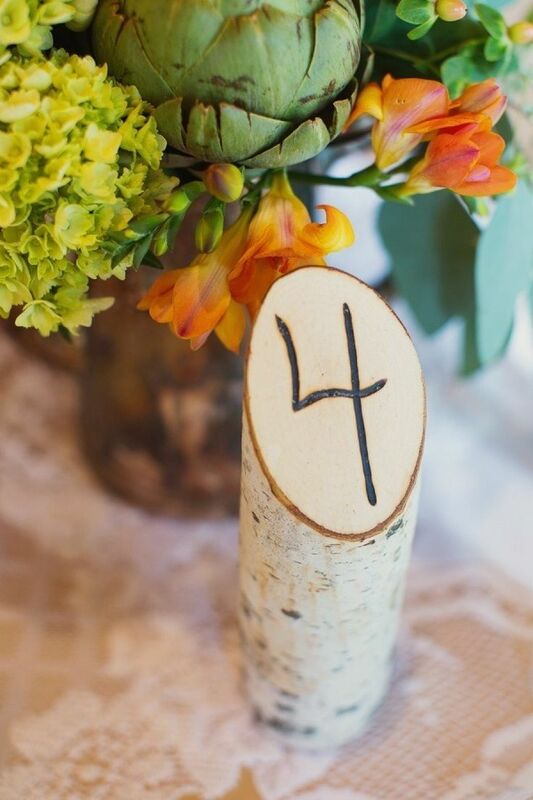 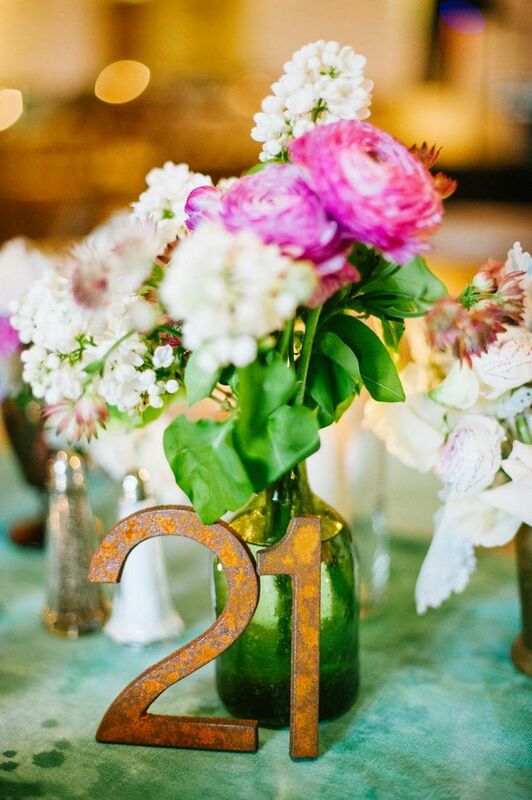 Incorporate the seasons into your table numbers! 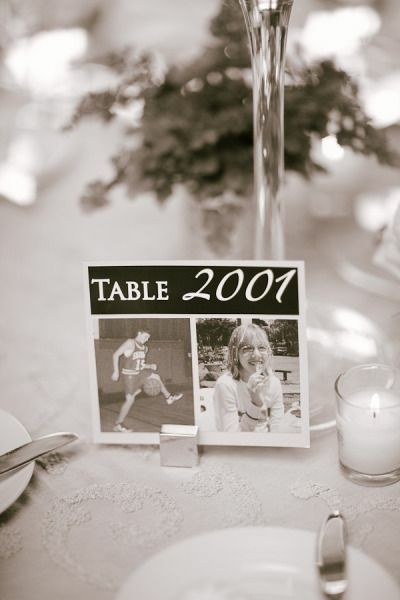 We love the idea of incorporating your favorite hobbies into the theme. 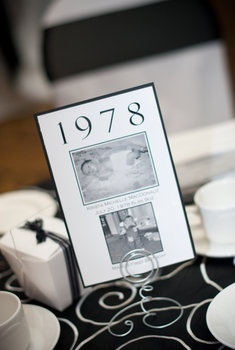 You can also use years as table numbers and add a personal touch to them but including pictures of the bride and groom from that year! 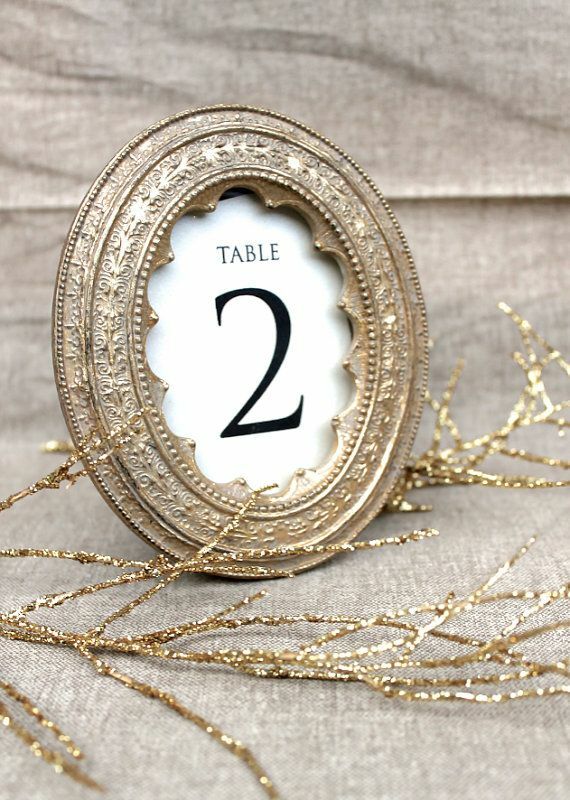 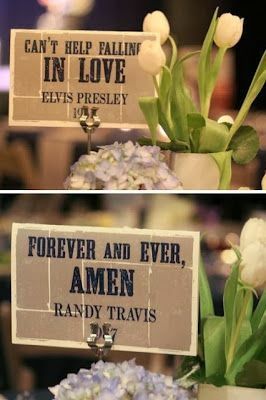 Get more great ideas for your table numbers on our Pinterest board!